LG Innotek announced the development of “Nexlide-L”, a line lighting module for automobiles. 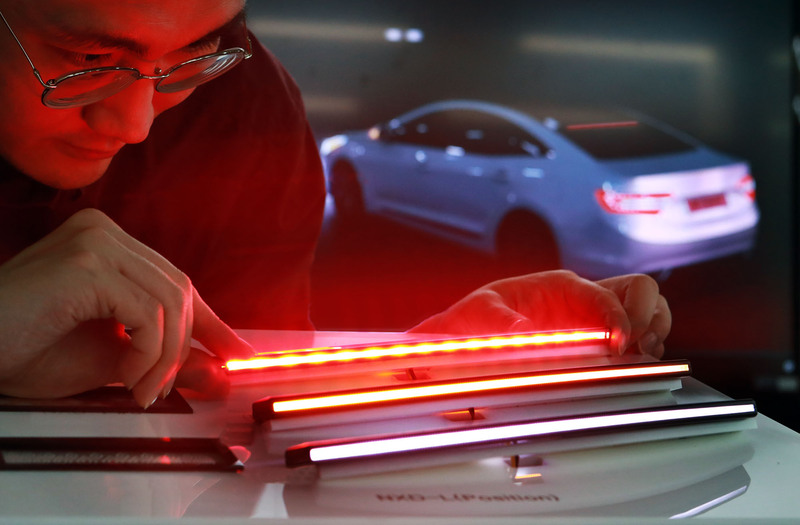 The company said that the lighting module of 3mm width is the thinnest among automotive exterior lamps and can emit bright and uniform light. LG Innotek is ready to supply customized designs of the products as the quality and mass production tests were completed. LG Innotek implemented its proprietary “LED lighting structure design technology” to realize the ultra-slim line lamp “Nexlide-L”. This cutting-edge technology makes the original dot-shaped LED light shine uniformly in a line or plane shape. According to the company, “Nexlide-L” is able to deliver various shapes of lighting and is good for improving the design completeness of an automobile. The color and brightness of the product can also be customized according to its application and mounting position. The lightings can be designed in a variety of ways to produce, for example, red light for brake lamps and center high mount stop lamp (CHMSL), yellow light for turn signal lamps and side-view mirror lamps, and white light for position lamps. In addition, the lighting module has a luminous efficacy of 7,500 nit (cm/m2) to be used for a brake lamp as it fully meets the brightness the lamp required. LG Innotek has further expanded its automotive LED lighting lineup with the development of “Nexlide-L”. The company has a total of 20 kinds of package lamp modules for various automotive applications. The company plans to increase its presence in the global automotive LED market with the development of “Nexlide-L”.